The most versatile white umbrella on the market. Four moveable ribs make it easily adjustable to alter the shape of the umbrella (see image examples). Video connector for use of a Redhead Ianiro, Cosmolight, DeSisti or Strand light with a Photoflex continuous light soft box. Video connector for use of a Lowel Tota-light with a Photoflex continuous light soft box. Video connector for use of a Lowel Omni light with a Photoflex continuous light soft box. Video connector for use of a Lowel DP-light with a Photoflex continuous light soft box. Video connector for use of an Altman Arri, K5600, LTM, Mole Richardson or Strand light with a Photoflex continuous light soft box. Video connector for use of an Altman Arri, Color Light, Colotran or DN Labs light with a Photoflex continuous light soft box. Video connector for use of an Altman Arri, Cinemills, Desisti, LTM or Mole Richardson light with a Photoflex continuous light soft box. Video connector for use of an Altman Arri, Cinemills, Desisti, Ianiro or Mole Richardson light with a Photoflex continuous light soft box. Video connector for use of an Altman Arri light with a Photoflex continuous light soft box. The Transpac™ Single Kit Case is the perfect choice for transporting small location lighting kits. Moveable interior dividers allow for quickly configuring the space as needed. The TransPac™ Outbound Transport Case is a compact, and economical, soft and collapsible bag for basic photo gear. Well suited for LiteStands, umbrellas and cables. The Transpac™ Gig Transport Bag is a compact and economical yet stiff padded case for LiteStands, umbrellas and soft boxes. The Transpac™ Dual Kit Case is our tall sized TransPac® rolling case. Ideal for LiteStands, Battery packs, Light heads and a variety of photo gear. Moveable interior dividers allow for quickly configuring the space as needed. Great for small studios and cramped spaces where larger setups aren't practical. Excellent as a separation or hair light. Works well as a specular key light when soft box face is removed. Great for small studios and cramped spaces where larger setups aren’t practical. Excellent as a separation or hair light. Works well as a specular key light when soft box face is removed. Videographers and still photographers will appreciate this versatile and dependable lighting kit for a variety of studio and location assignments. The StarLite® QL: Medium Digital Kit is a perfect solution for video lighting on-the-go. Our super-portable saddlebag design is essential for stabilizing light stands. Fill with sand, gravel or any other dry ballast as needed. Empties quickly for easy transport. 39 x 39" 39 x 72" 77"x77"
A best seller, the ProDuty™ BackDrop Support Kit is durable, extremely stable, and surprisingly portable. Compatible with all OctoDomes, the Photoflex Cowl and Patch for OctoDome is a replacement part for the one that comes with the softbox. The Cowl and Patch affix with touch-fasteners to the rear of the OctoDome and have four flaps that join and prevent spill light from escaping out of the back of the softbox. The lightweight LS-B2212 LiteStand is a four-section all metal construction light stand that extends to eight feet. The medium-weight LS-B2214 LiteStand is constructed of super strong aircraft grade aluminum alloy, and extends over eight feet. The heavy-duty LS-B2218 LiteStand is versatile and rugged, with a wide footprint. The best quality and longest warranty in the business. When you need to travel light and fast, the LiteStand: Compact is indispensable. Durable boom arm, strong enough to hang a medium size soft box overhead for a main or hair light. Adjusts from 5' to 6'7". Durable boom arm, strong enough to hang a medium size soft box overhead for a main or hair light. Adjusts from 5′ to 6’7″. The LiteRoom®:Medium is a tabletop shooting enclosure designed to produce consistent results in your product photography. Very versatile background light support stand. Removable telescoping center column with ergonomic grips for holding off camera. Stores very compactly. A compact, all-aluminum, telescopic accessory designed to hold and position the LiteDisc®, MultiDisc and similar reflective devices. Built to last with the best warranty in the industry. All-aluminum, telescopic accessory designed to hold and position the LiteDisc®, MultiDisc® and similar reflective devices. Built to last with the best warranty in the industry. Supports all sizes of LiteDisc® and MultiDisc® reflectors. The FirstStar Lamp is available for 110 volt, 220 volt and 230/240 volt. The FirstStudio® Product Kit uses our Medium Igloo to facilitate medium-sized products or collectibles. Our 2½" Grip Swivel is designed for larger, heavier soft boxes. Our 2½” Grip Swivel is designed for larger, heavier soft boxes. Our sturdy BackDrop Pole features three adjustable telescoping sections. Extends to 12 feet, 6 inches. Collapses to 4 feet, 7 inches for easy storage. A portable darkroom, the Photoflex Changing Room has a pop-open design which allows plenty of room to work with loading 4x5 or 8x10 film. A portable darkroom, the Photoflex Changing Room has a pop-open design which allows plenty of room to work with loading 4×5 or 8×10 film. 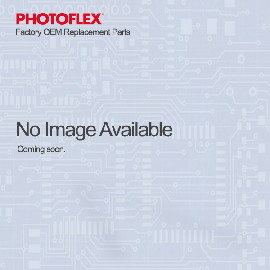 The Photoflex E-27 Socket Adapter is specially designed for StarLite QL fixture. Set up the FirstStudio® Portrait Kit in your home or business. Take portraits of your friends and family that will be the talk of the neighborhood. The FirstStudio® LiteIgloo is a simple to use, pop open table-top shooting enclosure for achieving soft, even, nearly shadow less lighting for your products. The FirstStudio BackDrop Support Kit includes LiteStands that extend up to 9' high. Wide leg base provides a sturdy backdrop setup. BackDrop Pole is telescopic and easily collapses down to fit into supplied carry bag. The FirstStudio BackDrop Support Kit includes LiteStands that extend up to 9′ high. Wide leg base provides a sturdy backdrop setup. BackDrop Pole is telescopic and easily collapses down to fit into supplied carry bag. Made with high quality materials, durable construction and a five-year warranty, our LiteDisc® reflectors the most dependable on the market. Double-sided for two reflective surfaces on one disc. The FlexDrop offers efficient Chromakey ability in an easy to use product. Featuring Chromakey green, it's light weight and has a spring steel collapsible frame. The FlexDrop offers efficient Chromakey ability in an easy to use product. Featuring Chromakey green, it’s light weight and has a spring steel collapsible frame. BoomStand supports up to 60 pounds. Use with our Boom arm to support overhead soft boxes easily and securely. Reflectors are amazing complements to natural and artificial light and our MultiDisc reflectors are designed to be durable and dependable. Featuring 8 diverse surfaces and an internal diffusion disc.